As a transplant to Canada it is always hard for me to celebrate Thanksgiving in October but alas this is what we do. The same weekend as Columbus Day for my U.S. friends we sit and give thanks. Instinctively as the month of November draws to a close I begin to think of the Thanksgiving that my American friends celebrate. The hustle and bustle of the airports, train stations and railways so that everyone can get ‘home’ to be surrounded by loved ones for this all important day. It has me thinking why is it so important to be together on this one day? Perhaps it is my Greek background that makes me think we should be doing this every day, every week, or at least once a month. Where have the family dinners gone? Where has the conversation gone while we’re all huddled around the table? Why must we text each other when we’re sitting less than 10 feet from each other? What has happened to the institution of family and is the thought of a parents and children sitting around a table with extended family and friends so archaic? I know that for us Thanksgiving usually meant we were invited to someone’s home. Being Greek it is easy to feed four more mouths on a day like Thanksgiving. I mean one year my mom cooked a ham, lamb and turkey for the four of us. Never mind the roasted potatoes, mashed potatoes, cranberry sauce, salad, pastitchio, spinach pie, cheese pie, feta, olives, Greek salad, tzatziki, tirokafteri and homemade baked bread. Now that I have my own family I understand the importance of starting our own traditions. I remember my father carving the turkey and uncovering the all important wishbone. I mean it was such a huge event in our house between my brother and I on who got the ‘win’. 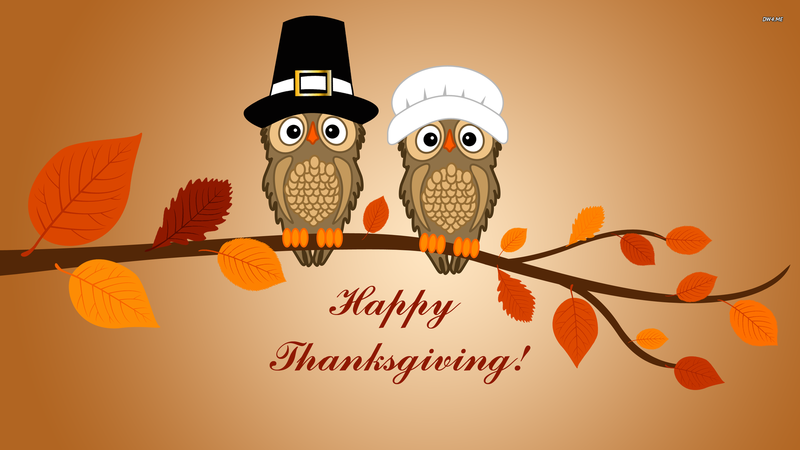 As my family and friends sit down to Thanksgiving dinner this year know that you’re being thought of from afar and we’re wishing you an amazing day full of laughter, love and most importantly the creation of wonderful memories. A day to remember and say thank you. Remembrance Day or Veteran’s Day, regardless of what it is called in the country you live in, it is a day to stop, remember and give thanks. 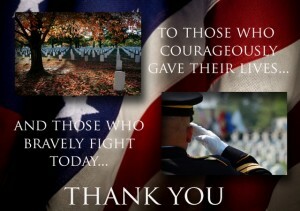 So today I thank all of you, those who served our country proudly. Thank you for giving such an amazing gift. Also let us take the time to remember those who gave the ultimate sacrifice, may their memories be eternal. As summer drew to a close a few weeks ago, Fall is upon us. I have to admit it is my favourite season of the year. The jeans, sweaters, vests, boots, scarves and hats all make their way out of the closets they have been hiding in all winter. There is nothing like walking with the cool breeze enveloping you as you hold a warm latte in your hands. Someone I follow on Instagram last week posted that there were 8 Fridays (last Friday) left in the year and if you lost a pound a week you’d be down 8 pounds before 2016. How does that sound? It actually sounded great to me but I started my journey in July when we joined a brand new gym that opened in the area. I have to say this is more than a gym, it is an experience. As I type this I’m sitting in the Life Cafe. I can see people checking in with their gym bags getting ready to hit the weights, machines, work out with their trainers, etc. There are also some people who are here just to use the pool. 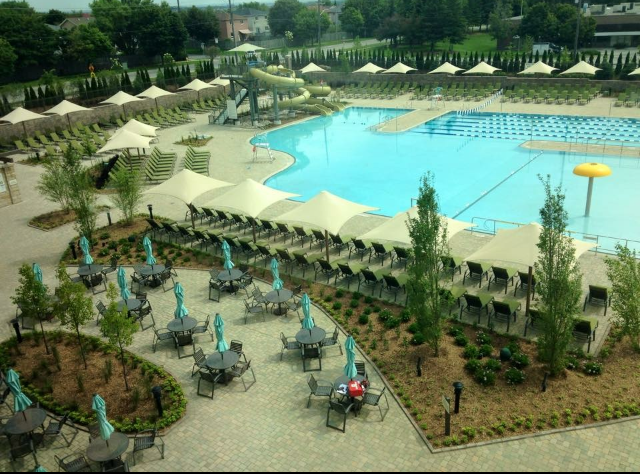 I’m bummed that the outdoor pool has closed for the season but here is a peak of what it looked like during the summer. Then there is the Life Spa that has pretty much everything you’re looking for: hair, nails, massages, facials, etc. I’ve had a couple of blow outs and my eyebrows threaded and highly recommend it. The best part of this club for me is the Kid’s Academy. It is where the little miss goes while mommy is doing any/all of these things. She is checked in to a safe environment full of caring people who know what makes her tick and how to keep her entertained for a couple of hours a day. I’m not going to lie, that is the main reason why we joined the club. The Kid’s Academy sold me. The individuals who work here are qualified to be with little ones and have their safety in mind. There are multiple check in, and more importantly, check out, features. I can honestly say as a first time mom I feel very comfortable leaving her in their care. One thing I’ve realized in this entire process is that a healthy mom makes for a healthy family. We’re the glue holding all of this together so we need to have our A game in place. It always drove me crazy when people would say to me that I needed to lose weight to be healthier. Honestly, I don’t know how I could be healthier than I am. If I choose to lose weight it won’t be to make you feel better about how you look at me. It’ll be because I want to and have set it as a goal for myself. I honestly don’t care what most people think of me. That is what it means to be comfortable in your own skin. It doesn’t matter what the general population thinks…I’ve had this mindset a very long time. Now that the rant is over, I’m happy to say that I’ve been working hard every week. I have a birthday coming up next month and some goals set to hit before that. I look forward to telling you all about it in the coming weeks. If you want to find out more information about the Life Time Athletics experience click here.